Published on September 13, 2015 in Champion Mindset, Motivation, Sports Psychology and Squash Tips. 0 Comments Tags: OCD, Rituals, Superstitions. For some, the number 13 is unlucky, not for me. In fact it’s a very special number. When it comes to sports psychology, there is a fine line between rituals and superstitions and what I call “routines” for success. The former create a false sense of certainty (with no benefit) whereas well designed “routines” significantly improve your chance for success because YOU control them and they are directly tied to the outcome you want. Getting up 2 or 3 hours before a morning match to be fully awake. When superstitions get out of hand, you’ll slip into Obsessive Compulsive Disorder (OCD)… That is something you want to avoid at all costs. It IS preventable, but breaking the superstitions as soon as they “Start”. Coaches and parents should STOP this behaviour immediately in young, junior players who don’t fully understand the long-term ramifications of developing OCD tendencies. Many top players now afflicted with OCD readily admit (in their published biographies) that they shouldn’t have started them in the first place, but are now “stuck” with them. Published on September 14, 2014 in Champion Mindset and Sports Psychology. 0 Comments Tags: Concentration Of Focus, Dabbler, Dabbling, Focus. First, you need a framework to work with – a set of guiding principles that you believe in and that you KNOW work for you. Consider them the corners of a puzzle. One example of a guiding principle is “Positive self talk”, another is “Having an outcome or goal for your performance of development”. Within those guiding principles, you start to read and assemble the pieces of the puzzle IF THEY ARE CONGRUENT within the “four corners”. 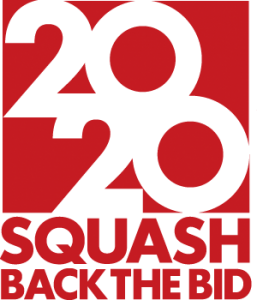 For example, in squash, there are two schools of thought: (1) you should always try to hit the ball with your FRONT foot in front of you, versus (2) ‘back footing” the ball in certain circumstances. You need to PICK which one YOU believe works for YOU, then discard, ignore the contradictory suggestions. You MUST make sure you coach(es) are aware of this so they don’t give you conflicting directions! Dabblers – people who read anything and listen to everyone’s suggestions get quickly confused and dissipate their focus to their detriment they are interested in superficial knowledge. Knowledge is deep when it concerns the central ideas of a topic or discipline, which are judged to be crucial to it. Deep knowledge involves establishing relatively complex connections to those central concepts. Thin knowledge is shallow or superficial when it is not connected with significant concepts or central ideas of a topic or discipline and is dealt with only in a simplistic or procedural fashion. Knowledge is also shallow when important, central ideas have been trivialised and simplified to an extreme. It is acknowledged that information and knowledge is extensive and wide-ranging. There is a balance to be achieved between trying to know everything about everything (A Jack of all trades) versus “everything about one thing” (a specialist). Admittedly, this is not an easy concept to grasp. It’s a skill and aptitude that I developed over 10+ years when I was also confused by all the conflicting information I was reading in all the books I read. (I am a speed reader and have read over 1,000 business books and over 100 on mental toughness and sports psychology alone). Here are some steps you can start to use to CONCENTRATE YOUR FOCUS when it comes to your learning and development. 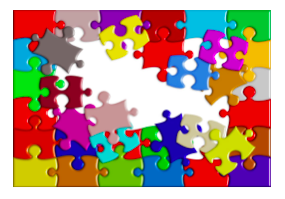 When something new “comes up” – determine if it fits “withing the puzzle”. I suggest you stick to what you are doing until someone gives you a COMPELLING reason to consider switching. If it sounds promising (in that you think it could help or assist you to achieve your goals or outcomes), then give that option a MINIMAL assessment and if that MINIMAL assessment provides a positive outcome only then should you consider it. Otherwise, I ignore it. Most people assess, evaluate to death each and every idea they hear about and most turn out NOT to be worth it. By NOT getting distracted, your concentration of FOCUS will increase instead of dissipating. It’s hard to explain, but if it does not serve you to ACHIEVE YOUR GOAL, don’t let the distraction “in” – if you do ADD it to your arsenal, it has to ADD to your EXISTING framework of strategies. It needs to “FIT INTO” the puzzle so-to-speak if it doesn’t, discard it and wait for the next one – WHICH WILL COME AROUND. The best advice I can give you is to make sure you have a coach or mentor to assist you in your quest. There is no better way to achieve your ultimate outcome. Published on July 26, 2014 in Champion Mindset, Inspiration, Motivation and Sports Psychology. 1 Comment Tags: Anchors, Mental Toughness, Sports Psychology, Triggers. 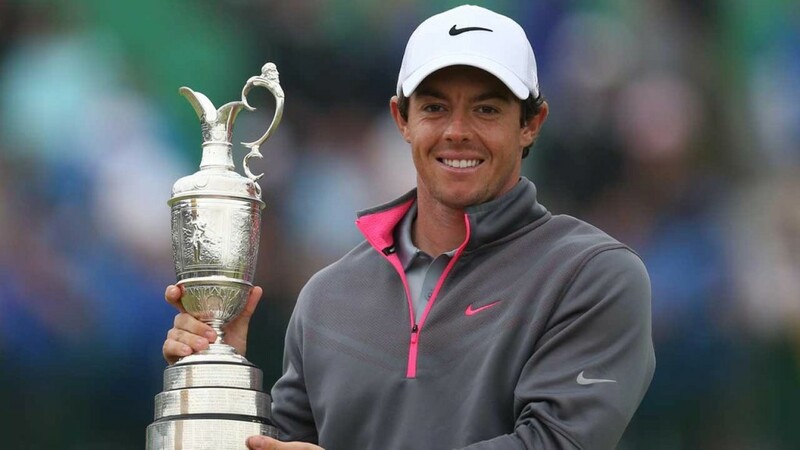 Rory McIlroy looked out at a room packed with reporters and knew he was going to disappoint them. All week, he had talked about two secret words he used as his trigger for the shots he played. Even as he stretched his lead to six shots going into Sunday, he said he would only reveal them if he were to win the British Open. I highlight this because non-champions (1) don’t do this, (2) try to make it more complicated than it is, (3) are not quite sure how ‘this’ works, and (4) don’t educate or inform themselves on how to develop their mental game. That’s why they aren’t the ones holding the trophies, standing on the podium, accepting the awards, winning the championships. Published on May 4, 2014 in Champion Mindset, Inspiration, Motivation and Sports Psychology. 1 Comment Tags: Bill Gates Quote, Mental Toughness, Sports Psychology, Success Mindset. 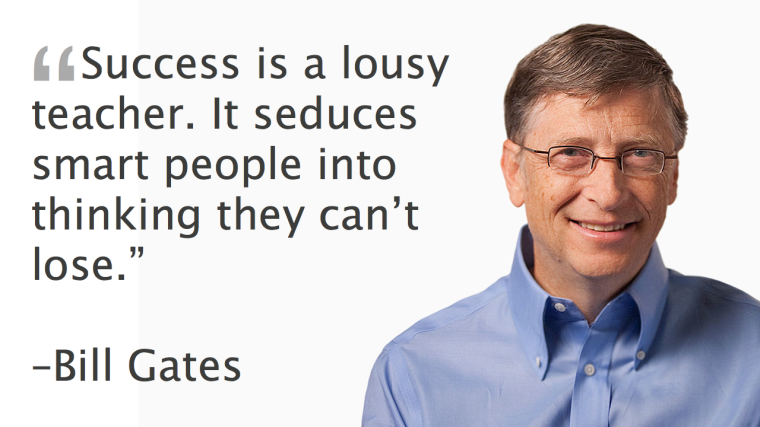 …It seduces smart people into thinking they can’t lose. This is true in sport as it is in business and life in general. Published on April 27, 2014 in Champion Mindset, Motivation, Sports Psychology, Squash Tips and Training and Drills. 0 Comments Tags: Deliberate Practice, Practice Makes Perfect. If you weren’t sure if practicing makes a difference, here is an interesting chart showing that minutes make a difference. Of course if you are going to practice, you need to use Deliberate Practice techniques to make sure you are improving while you are practicing. Practice does NOT make perfect – Practice makes permanent. Published on March 16, 2014 in Sports Statistics. 1 Comment Tags: Network Analysis, Soccer Analysis, Soccer Strategy, Sports Science. Technology is changing sport is countless ways. 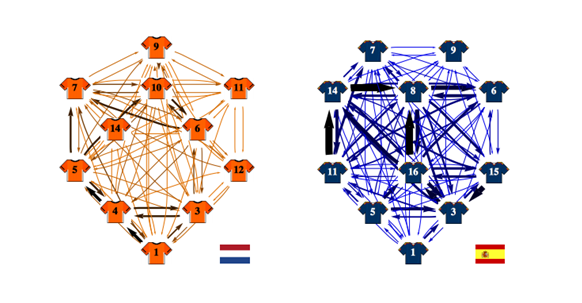 Ray Keefe of Successful Endeavours in Melbourne Australia sent me the following article from the MIT Technology Review that shows how network analysis can reveal a soccer team’s strategy… Very interesting. Published on February 12, 2014 in Guest Post. 2 Comments Tags: Penny, Skate, Skate Events, Skateboard. Originally deemed to be just a fad, the art of skateboarding is now satisfyingly ranking around the same level as rap and video games for sheer piss-off-your-parents ability. But that’s not the reason why people take up this sport – well for some maybe. It’s about creativity, expression, freedom, triumph when you accomplish that trick and above all – pure destruction. Because of its staying-power and ever-increasing popularity, it’s only natural that many competitions exist for skaters, seasoned or amateur to show off their skills. If you’re a professional skateboarder or just a happy spectator keen to keep an eye on the competition front, here is some of the best competitions to add to 2014’s calendar. While the Dew Tour may only be in its ninth year, it has made a huge impact on the world of skateboarding. The free four-day action and lifestyle festival has three separate events throughout the year focusing on different types of extreme sports from snowboarding to skateboarding. The summer series is where professional skateboarders and BMX riders come together to shred up the other competition. Along with live music acts and an MTV television broadcast, fans get the whole interactive experience with pro athlete meet and greats, sponsors freebies, and the opportunity to ride the skate and BMX fan courses. Nearing its twentieth year, the X Games is the epitome of extreme sports. It features the biggest collection of alternative sports including skateboarding, mountain bike, surfing, race car riders and roller blading in the summer and snowboarding, slope-style and snowmobile in the winter. Thousands of fans gather together for each event with the aim of witnessing a moment in sporting history. The X-Games boasts a carnival atmosphere with a multitude of tents and booths, along with the unavoidable expensive stall food, souvenirs and another sport related goodies. Regarded as the best skateboarding competition Europe has to offer, the Mystic Sk8 Cup not like any other. It’s not because of the $40,000 prize packet nor the fact that it offers both men’s and woman’s rounds. The Mystic Sk8 Cup is unique for one reason: each year the organisers like to spice it up by building a brand new skate park to meet the latest trends. This makes it interesting as competitors never know what to expect; it inspires them to perform at the top of their game and perform ground-breaking tricks. 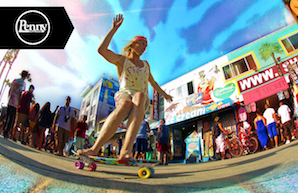 The contests include both men’s and women’s street competitions, prizes for vert and best trick. The Mystic Sk8 Cup is usually held in early July in Prague, Czech. Every year Tampa, Florida plays host to one of the most widely broadcasted skateboarding competitions, the Tampa Pro. Much like the Mystic Sk8 Cup, the competition is held at the Skatepark of Tampa where a new course is designed every year to keep the contestants on their toes. There you have it, four great skate board championships to add to this year’s calendar. Interested in taking up skateboarding? Don’t make your first board one of those poorly designed creations from a department store. Make sure it’s a good quality skateboard from reputable brands like Penny Skateboards. With boards like this, you’ll be able to master awesome tricks in no time at all. This is a guest post – if you would like to submit one, please contact us and we’ll send your our terms and conditions and writer”s guidelines.